The Apollo 8 astronauts watched the moon pass beneath them. The surface was desolate. It was crater-pocked. Then, something unexpectedly stunning happened. Rising above the horizon was a beautiful sphere. It was familiar. And it was unfamiliar. It was a blue marble. It stole the space voyagers’ attention. What they saw was heart-stopping. It was heavenly. It was home. This image would capture the human imagination. Ironically, it could only be seen when Earthlings left home for the first time. The three men traveled hundreds of thousands of miles. They went to look back and discover the jewel they had left behind. It was so far away. A raised thumb could hide this sapphire oasis in the void. Christopher Kraft was Flight Director. He told Frank Borman’s wife Susan that the odds of her husband’s return were fifty-fifty. Launch day was on December 21, 1968. 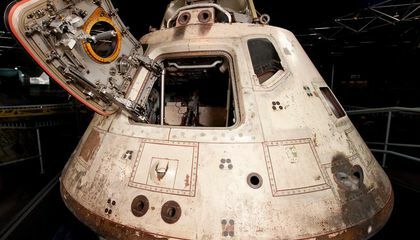 Many “engineers and scientists at NASA question[ed] whether the crew” would ever return in the days before the launch. There was nothing easy about this flight. The big Saturn V missile would power the trio’s ship into space. It had launched only twice. It succeeded once. But it failed on its second liftoff. And riding a rocket with such a short and unencouraging record was just the astronauts’ first potential obstacle. Borman, Lovell and Bill Anders relied on nearly perfect performance. It came from computers and engines. These would take them to the moon. It would take them into lunar orbit. And then back toward Earth. They traveled through a thin slice of atmosphere. They would then splash down in the Pacific. People around the world listened to communications. They were between the Johnson Space Center and the distant Apollo 8. A complete record of communications is available online. Much of the back-and-forth sounded like business as usual. Three men at work. But there were rare moments. Lovell spontaneously created the word “Earthshine.” It explained what was obscuring his vision at one point. No one on Earth knew that the planet emitted a noticeable glare until that moment. Borman had been advised to “say something appropriate.” It was for that Christmas Eve broadcast. That's according to Muir-Harmony. He had sought input from others before Apollo 8 lifted off. The reading from Genesis, she says, “was done with the expectation that it would resonate with as many people as possible, that it wouldn’t just be a message for Christians on Christmas Eve.” Its emotional impact startled many viewers. This included CBS anchorman Walter Cronkite. His eyes filled with tears. Famed atheist Madalyn Murray O’Hair filed suit against the then-head of NASA Thomas O. Paine in 1969. She challenged the reading of the Bible by government employees. One federal court dismissed the case. The Supreme Court refused to hear an appeal of the lower court’s dismissal in 1971. 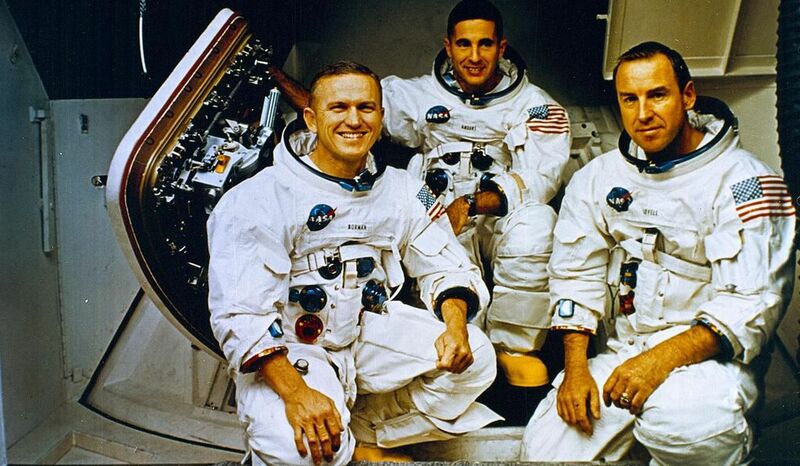 Frank Borman and Bill Anders are not well recognized 50 years later. Jim Lovell was made famous. This was from Ron Howard’s 1995 movie. It was about the saga of Apollo 13. It had a near failure. But neither the first men to leave the Earth nor their mission are prominent fixtures in America’s historical memory. Even more lost are the 400,000 other humans who labored to make this voyage possible. That in no way diminishes their accomplishment. Nor does it reduce its effect on many people. They found inspiration in the fearless feat. It was the close of the turbulent year 1968. One American wrote to Borman with a simple message. He wrote: “You saved 1968.” The year had seen the assassination of Martin Luther King Jr. And also the assassination of Robert F. Kennedy. There were race riots. These were in many American cities. There were protests. There was a war. And a president’s political downfall. All marked that year as one of the most memorable in 20th century history. But the Apollo mission allowed it to end on a big note. It proved that human beings could do more than struggle. They could do more than oppress. They could do more than kill. They could accomplish something wondrous. the mission of apollo 8 was one of the missions that caused great conmosion among the spectators, but the really incredible thing is that although it was a dangerous action, today it is still remembered for having been full of people with great value, people who Being far from the earth they managed to see how beautiful our home is. Dream as if you'll live forever. Live as if you'll die today.